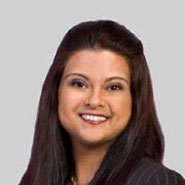 Join Alka Bahal, co-chair of Fox Rothschild’s Immigration Practice, for an overview of immigration and workplace compliance, including Form I-9 and government inspections. This program has been approved by the Board on Continuing Legal Education of the Supreme Court of New Jersey for 2.4 hours of total CLE credit. Of these, 0.0 qualify as hours of credit for ethics/professionalism, and 0.0 qualify as hours of credit toward certification in civil trial law, criminal trial law, workers compensation law and/or matrimonial law. HRCI credits are pending.